Well, Friday was such a beautiful day that I took the afternoon off to go paddling. 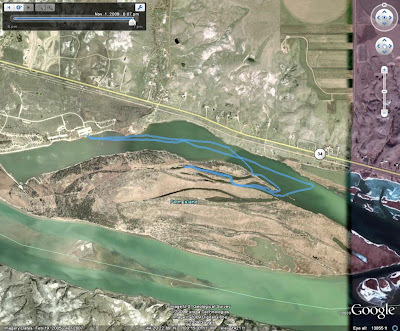 I just did my routine trip around La Framboise Island. The wind was calm and the temperature was in the mid 70s F. I covered the 5.75 miles in an hour and a half, averaging just under 4 mile per hour. Some pictures from the cruise: The water was very low.